Singapore might not be the best destination in Southeast Asia for beach seekers, but it does offer many great attractions that tourists can enjoy while they are there. Here are 4 fun things to do in Singapore that you should know if you are currently planning to visit this country. In this small island, there are a number of spots where you can reach the top of the world and enjoy the majestic scenery of Singapore’s skyline. At Marina Bay Sands, you can reach the observation deck on the Marina Bay Sands Skypark where nearly all parts of the island are visible. 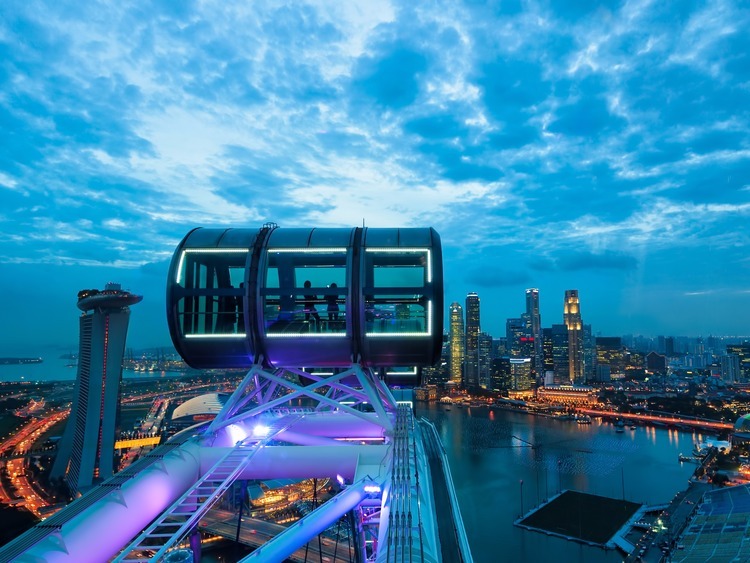 You can also ride the giant Ferris wheel of Singapore Flyer, which is the largest on earth. If you prefer to reach the top not through a modern contraption, you can hike the southern ridges along the lush environment of Mount Faber to reach Labrador Nature Reserve, from which you can also watch Singapore’s beauty from high altitude. Just because Singapore is an ultramodern city-state doesn’t mean you cannot find natural reserves where you can enjoy the serenity and beauty of the nature. If you don’t want to go too far from the city center, you can simply go to Singapore Zoo, the best rainforest zoo on earth where you can enjoy breakfast with orangutans. You can also visit the Botanic Gardens and Gardens by the Bay, where modernity comingles with the nature. If you prefer to visit more secluded areas, one of the fun things to do in Singapore would be to explore MacRitchie Reservoir, Granite Island, Sungei Buloh Wetlands, and Clarke Quay. Get to know with the people. Although inhabited predominantly by Chinese people, Singapore is actually very diverse in terms of population. Singaporeans consist of different people from different ethnic groups. You can visit the Chinatown to see the most Chinese part of the city, but you can also visit other quarters that are exclusive for certain ethnic groups, the most famous of which is Little India and Arab Quarter. Due to its small size, Singapore cannot waste even an inch of its land for something unproductive. This is the reason why empty beach with its soft white sand is rare in this country. However, this doesn’t mean you cannot enjoy beachside attraction in Singapore. If you visit Siloso Beach and other tropical paradises in Sentosa Island, you will know that for beach lovers, there are actually many fun things to do in Singapore.